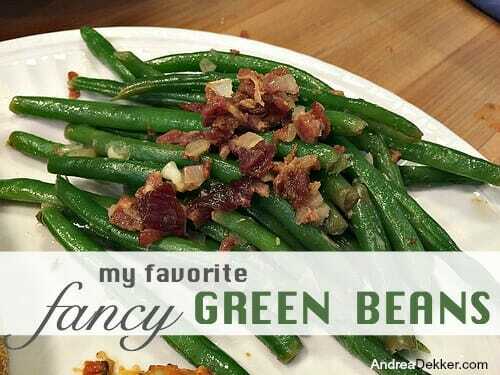 For as long as I can remember, green beans have always been my most favorite vegetable. 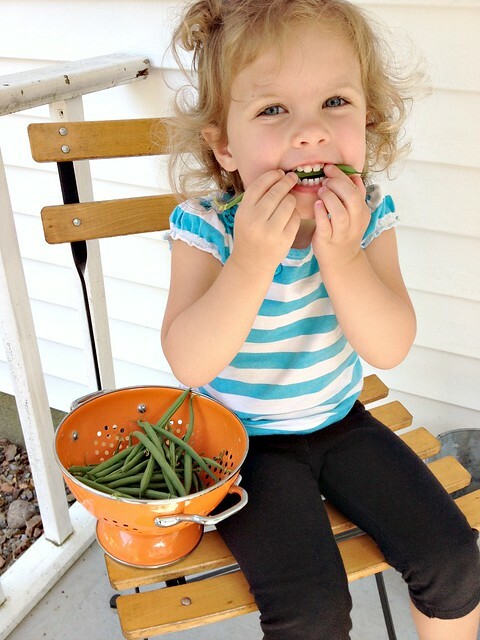 My dad grows rows and rows of green (and yellow) beans in his garden every summer… and whenever he picks the first few handfuls of beans, he immediately washes them, boils them, and eats them with anyone else who wants to join him. 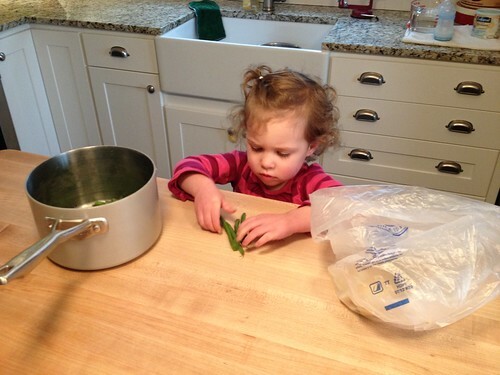 I was often asked to wash and snip beans as a “chore” growing up. I didn’t really like doing it, but decided it was worth it since I loved eating fresh-from-the-garden beans SOOOOO much. 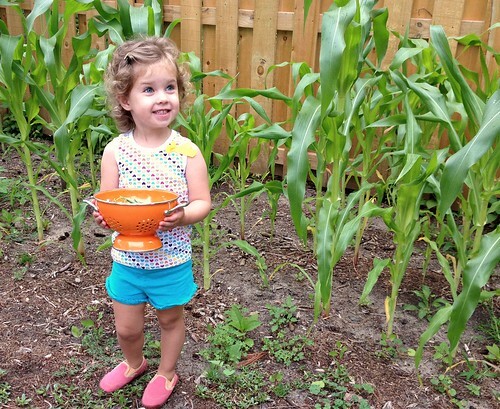 We are planning and hoping to have a much bigger garden this coming spring… and you better believe I’ll plant several rows of green beans. Until recently my go-to way of cooking green beans was to boil them for 5-10 minutes and serve them with a little salt and butter. 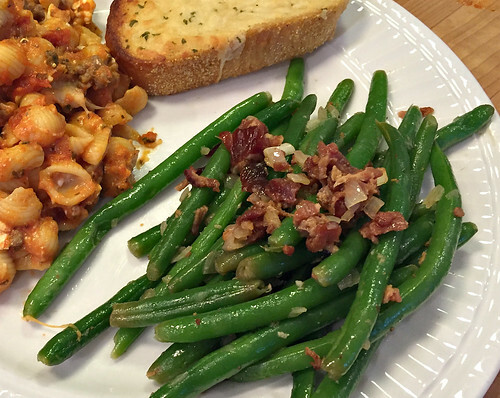 That method is super simple and delicious… especially when the beans are so fresh. 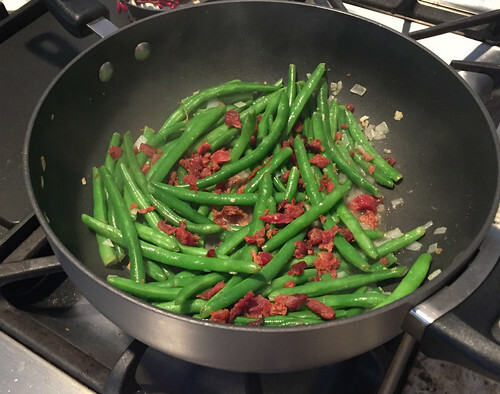 However, during winter months when super fresh-from-the-garden beans are not available in Michigan, I’ve started sauteing them with onions, garlic, and BACON to really amp up the flavor. 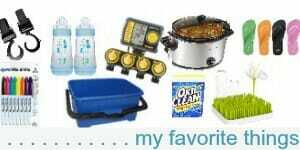 In a large frying pan, heat oil or butter over medium heat. Add all beans into frying pan with 1/2 cup of water. 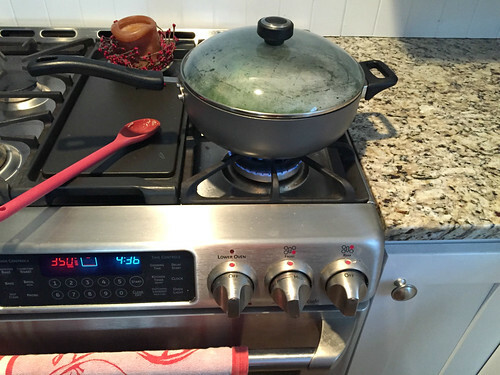 Cover and let simmer for 5 minutes. Remove cover, add cooked bacon pieces, and stir until the water has evaporated and the beans are tender, but still crispy. 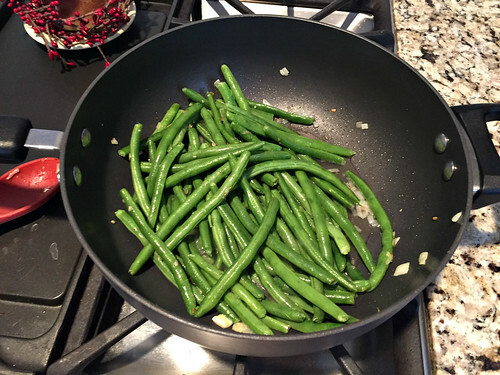 I have used fresh green beans from the produce department, the green beans in the microwave package (as shown in the pictures), and frozen green beans — all with fabulous results. I have never tried canned green beans, and personally don’t think they would work nearly as well. I have used both freshly fried bacon, packed bacon pieces, and ready-cooked bacon strips. It all tastes good! You can certainly leave the bacon out to make this vegetarian — or you could try prosciutto, ham, or spicy sausage for a different flavor combo. You will need a very large frying pan! In the pictures, I’m only frying about 3/4 of a pound of beans since it was just for our family. See… told you it was simple! This coming summer, there will be plenty of time for straight-from-the-garden green beans with just a little butter and salt — but until then, we’ll be enjoying this delicious (and slightly fancy) way of serving green beans! 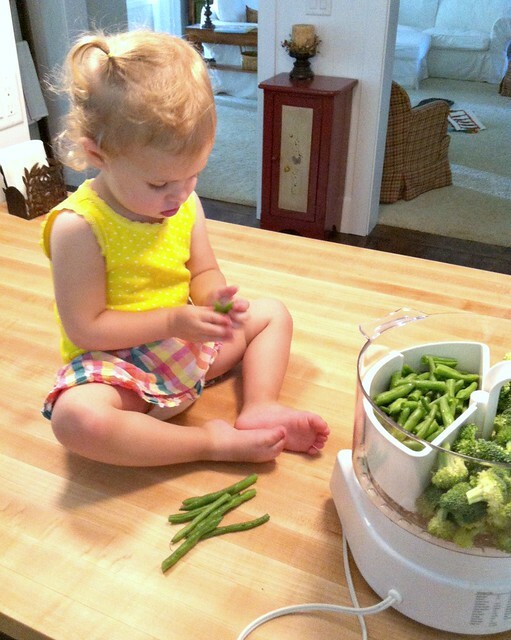 What are your favorite ways to cook veggies? As a Southern girl, we always cooked our green beans for a long time (an hour or so) and season with fatback. 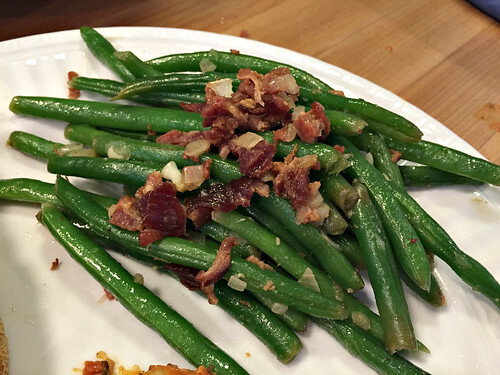 It’s hard to get used to crispy green beans, but I’m trying! Am going to try fixing your fancy green beans! I know they’re good ’cause everything you cook/do is wonderful! Just an FYI, I tried the soy sauce and garlic last night — amazing! Dave loved them too! Thanks for that simple recipe switch-up! 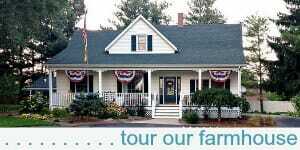 You’re making me want to plant beans!! 🙂 I’ve had poor luck with bush bean germination the last couple of years but you may have convinced me to try again 🙂 Do you/your dad use bush beans or climbing pole beans? Do you know what variety you like best? 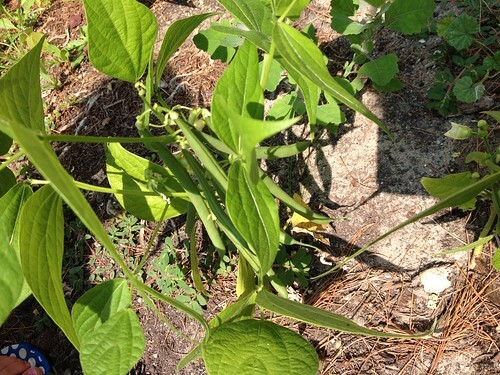 We use bush beans — I’ve never tried pole beans but have been interested in trying them some time. Our go-to is roasting…..slice or chunk your veggies to a uniform size (important) then drizzle with olive oil, salt, pepper and thyme. Put in a 400 degree oven….harder veggies take more time so for carrots, probably 30 – 40 minutes….you just have to watch. We love them. You can play with the seasoning, but I wouldn’t skip the salt and pepper….thyme always works for me. I did do a butternut squash with olive oil, salt, cinnamin and nutmeg…..Oh my goodness…it was amazing. 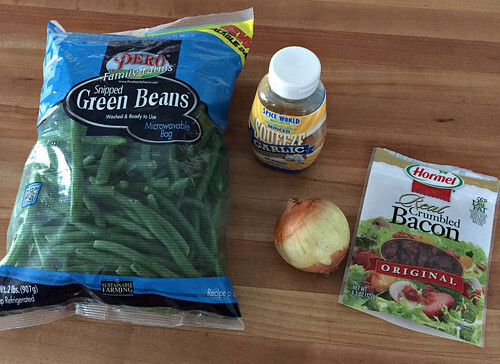 The Meijer by me always has the haricots verts green beans, often on sale….so fantastic. 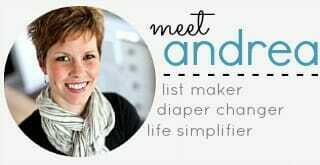 I just steam them in the bag.